looks like another Summer is done and dusted and things are returning to some semblance of normality, whatever that is. Anyway, we really appreciate the support our clients give us by referring new friends, or old for that matter, to our salon. 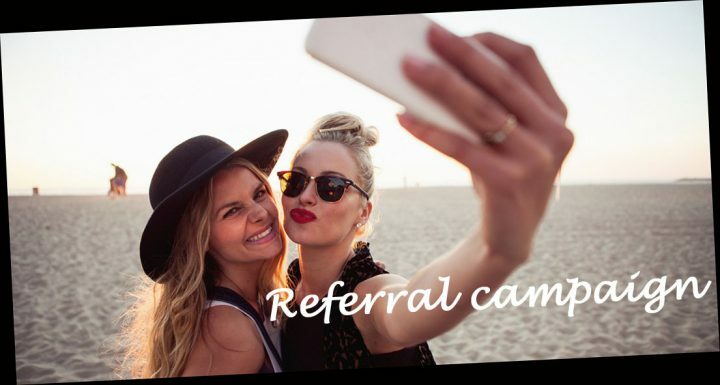 ” Refer a friend” campaign. The rules are simple and the rewards are generous. Your friend must be a New client who has never visited Gold before. The most important point for you to remember is that the person referred by you knows your full name so we can give you a credit for your referral. So if everyone calls you Peggy but our records show Margaret please make sure they know your full name, or whatever name you use at Gold so we can find your record. After your friend has completed her appointment we will email you a thank you note that works also as a voucher for you to receive the 50% off one service on your next visit. Anyway, however you define a friend is good enough for us so that person you met yesterday at the cafe is as qualified as the one you went to kindergarten with, partners and spouses included! Thank you as always for your support, we greatly appreciate it! *this offer does not apply to Hair extensions or Brazilian Keratin treatments. Expiry is end of day October 20, 2016 without exception.